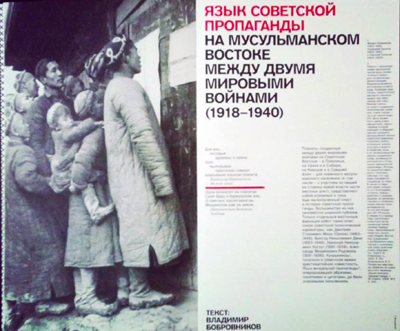 Although this exhibition was held in Moscow over a year ago, it is fascinating to browse these marvellous propaganda posters. The exhibition was organised by the Mardjani Foundation, which focuses on Islamic studies and Muslim culture in Russia and Eurasia, and the State Central Museum of Contemporary History of Russia, which holds over 70,000 posters in its collection. 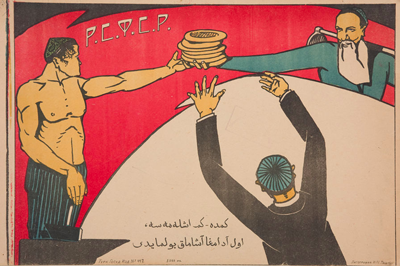 Posters created for the peoples of Central Asia and the Caucasus had a special style: they were bright, imaginative, and often in the avant-garde style. Artists were based in Tashkent and Baku, far from the Soviet centre. 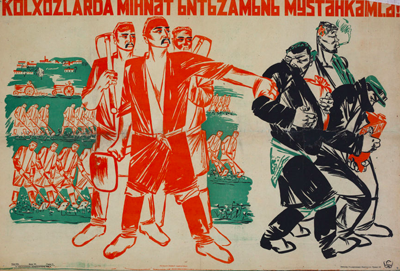 Curator Maria Filatova, in an interview with Eurasianet's David Trilling, views the "colorful posters from the 1920s and early 1930s, with their longer texts and multiple figurines, as direct descendants of local calligraphy and miniature traditions. Filatova feels the relative freedom of the 1920s makes the work from that decade artistically more interesting compared to what followed". According to Filatova, the work is also revealing about that period in early Soviet history, when "socialist ideas coexisted with Islamic ideology. It was quite wise for the new Soviet power not to crush the old traditions, not to anger the region’s Muslim population. 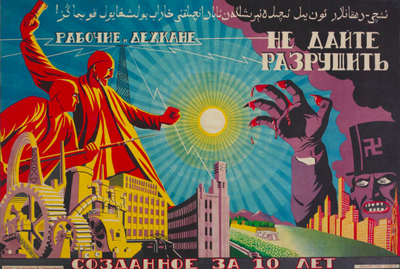 There are several posters from the 1920s where you can see the Soviet red star and the Muslim crescent together." The posters, pasted in railway stations, streets, squares and in clubs, use Cyrillic, Latin and Arabic scripts - reflecting the alphabets and languages of the time. However, most people were illiterate and artists quickly focused on strong, bold design and simple messages to educate and mobilise the masses. Given the shortage of paper in the early days of the USSR, it is miraculous that these posters have survived. You can read David Trilling's article about the exhibition and see further examples of these remarkable posters. His article also includes an excellent overview of the history of the various alphabet experiments (including the Latin alphabet) in Central Asia during the early Soviet period - by 1940 Cyrillic had become the universal alphabet.